The laden ash train roars along at a walking pace near Blackwater. Lumix LX3 photo. 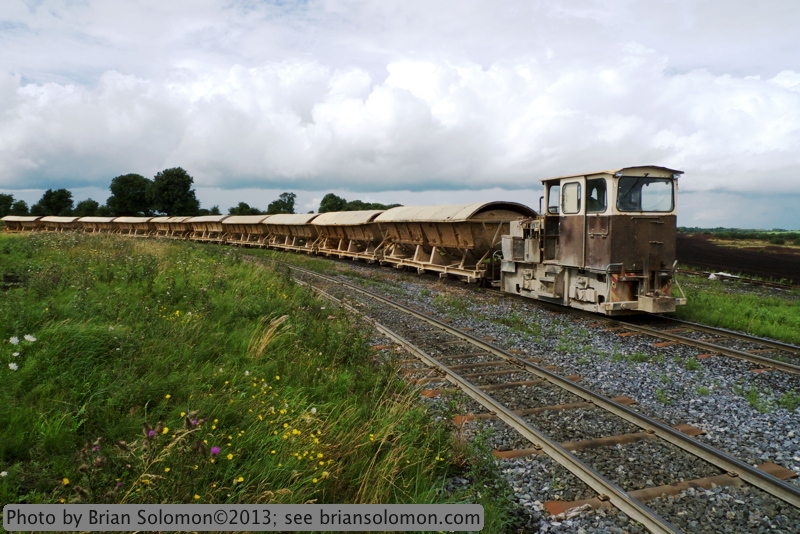 Bord na Mona, ash train.